These Japanese made Jointer and Planer Blades will outlast any other steel blades on the market - PERIOD! Tested against the finest European brands, these blades held their edge much longer, reducing down time and aggravation. Sure, they cost a bit more, but the results are worth it many times over. Manufactured with Japanese technology from a superior blend of quality steel and double ground to a 42º+45º edge angle. 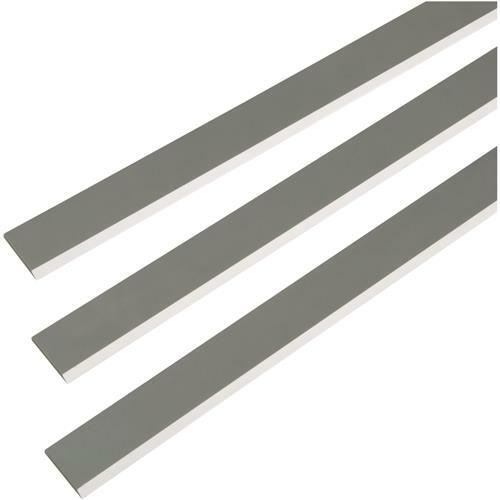 These blades include a higher percentage of Molybdenum for longer edge retention. We offer a full selection for just about every jointer and planer application. You won't be disappointed! 20" Planer Blades set of 3 - 20" x 1-3/16" x 1/8"